Buy miles at 2.11 US cents each up to 29 October 3 pm Singapore time. Mileage Plan is the frequent flyer program of Alaska Airlines, and a very powerful tool to get discounted business/first class flights if you know how to use it properly. You can max out this promotion by buying 60,000 miles with a 24,000 mile bonus, or 84,000 miles for US$1,773.75. That gives you an effective price of 2.11 US cents per mile. You are capped at buying 60,000 base miles per transaction, but you can do as many transactions as you want. 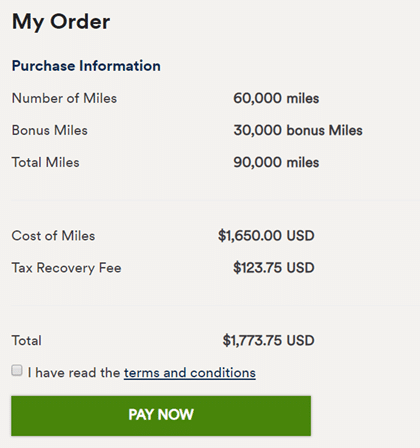 Should I buy Mileage Plan miles at a 40% bonus? Provided you have travel plans and aren’t buying them speculatively, a 40% bonus is the best available public sale for Mileage Plan. Sometimes, however, people may be individually targeted for 50% sales. Mileage Plan’s key strength is the sheer variety of options you have for premium cabin redemptions. Remember that for a mere 25,000 Mileage Plan Miles you can do a “round trip” journey from Singapore to Tokyo in business class, which works out to US$528 if you buy miles at 2.11 US cents each. There’ll be a further ~US$60 of taxes on top of that, and you’ll need to buy a one-way ticket to or from KUL, but all in you’re still looking at a sub US$600 “round trip” business class journey. Note that you cannot book Cathay Pacific awards online and will need to call up Mileage Plan customer service to get this done. You should be able to use the British Airways award search engine to check what space is available on CX business and first before calling up Mileage Plan- have a read of that tutorial here. If you’re looking to redeem CX awards, you should note that Mileage Plan sees one less First Class seat and two less Business Class seats than other partners, as Ben from OMAAT reports. 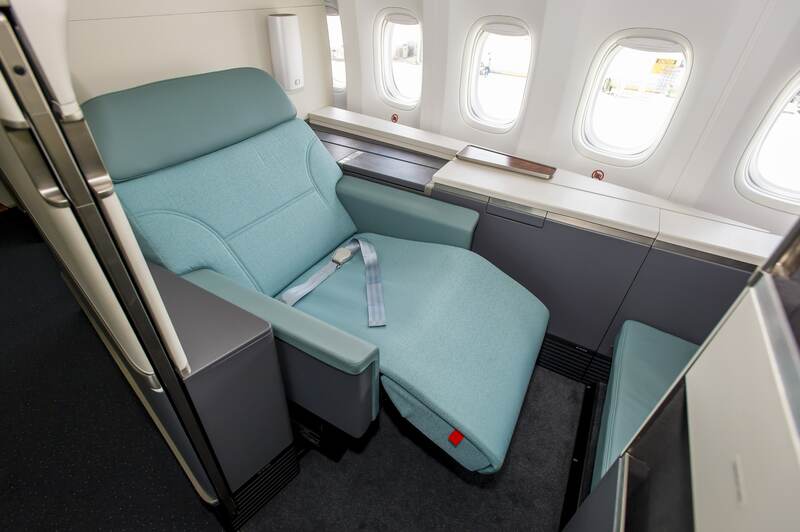 You could redeem Hainan Airlines business class awards to the USA at 50,000 Mileage Plan miles in business class (but you’d need to position yourself to Bangkok first because they don’t serve Singapore). What card should I use? Alaska recently revised the rules for Mileage Plan awards and charge a US$125 fee for changes or cancellations, regardless of how far away you are from departure. 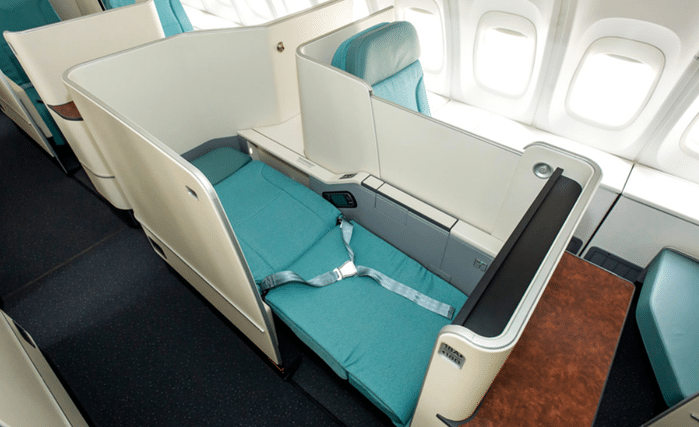 If you’re hoping to redeem Emirates or Qantas awards, there may be some issues seeing availability in Business Class. I personally never use Mileage Plan miles for anything other than JAL awards, however, and those work just fine. Some people have reported issues with purchasing miles if their Mileage Plan account is new. It used to be that your account had to be at least 10 days old to buy miles, but I get irregular reports as to whether this rule is actually enforced. An email to customer service usually sorts out the problem, but if the transaction fails you won’t get charged anyway. If you’ve found this article useful, please consider using this link to purchase which helps to support the site. Alaska has a real creative way of devaluations compared to other programmes. They just offer less seats available while keeping the number of miles for redemption the same. what is the best way to view the direct destination to and from Hong Kong please? You’re not going to see it on their website as mentioned, you should try searching on BA [and Qantas’ website to be sure]. I just got tickets with CX to US for next year, after two calls to the friendly customer service team and even had a great chat with the lady about family travels. To be clear, I only needed one call but I made an extra one before booking just to confirm availability. 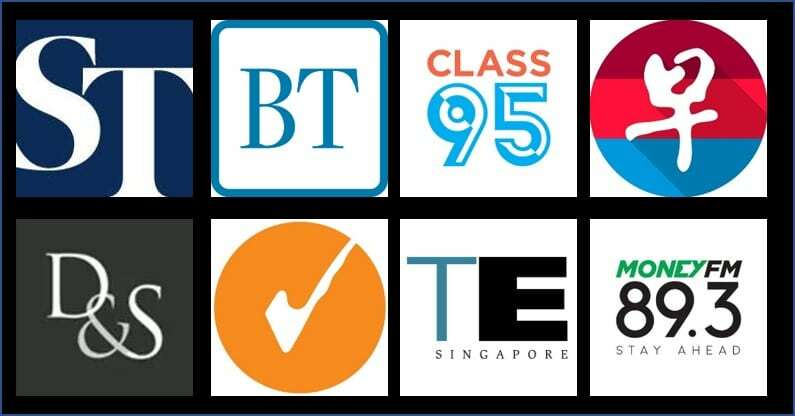 Hi Atoll, what is the number you called since we are based in Singapore ? I’m currently on a trip using mileage plan on CX from HKG to AMS. Just need to do some research on seats availability and time to talk to their CSO. I don’t know why you get inferior rates, but I can get 40% for buying as little as 10k miles. Would the Citibank Rewards card give 4mpd too on points.com? There’s a lot of award space for the JAL trick over CNY. I’ve recently booked a “one-way” trip myself and on certain days there’s 5 business class seats available for SIN-NRT. Which website show the number of seats available ? I couldn’t find them. Thanks ! A 40% bonus is not the same as 40% off. The title needs to be fixed. How can I find award tix for finnair? It is extremely difficult to find availability on Finnair. Try search BKK to Europe, and you may find a few. Any idea how long it will take for the miles to be credited into the account? My transaction using BOC elite miles card could not be completed. Did anyone experience the same issue before? Just transacted. It went through. Not sure if this is a broad or targeted extension, but I received an email this morning that the sale is extended to 30 Oct. Fyi. Previous Entry What did I win in the Starwood-Marriott merger day lottery?